When it comes to breakfast and brunch, Minneapolis delivers with a wealth of fantastic places to dine. From the narrowest restaurant and the oldest diner to elegant cafés for Champagne brunches and family-friendly bistros for gooey sweet treats with the kids, there is no lack of exciting and tummy-filling spots to break the fast. 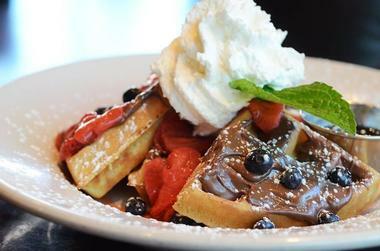 Try Hot Plate’s renowned Nutella, peanut butter, and bacon pancakes, Ecuadorian Baked Eggs at The Mill NE, or vegetarian pea pancakes with grapefruit marmalade at the Birchwood Café. 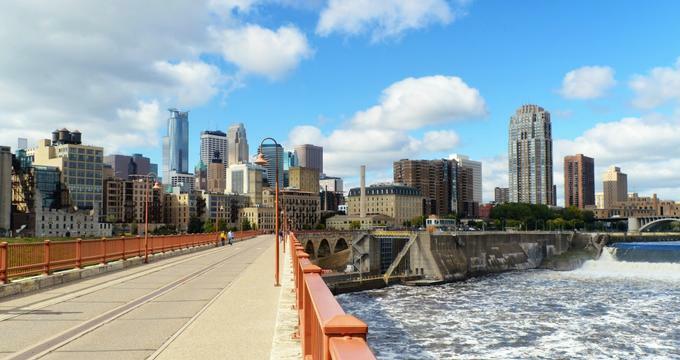 Whatever you fancy, Minneapolis will have it for you, so here are some of the top spots for breakfast and brunch in the city. Al's Breakfast is a classic diner that has been serving loyal customers and visitors who have been coming to “the narrowest restaurant in the city” for breakfast and lunch for nearly 70 years. Established in 1950 by Al Bergstrom, the narrow nook exudes an old-school vibe, and with a width of just ten feet, the restaurant can only seat 14 diners at a time. This doesn’t stop the crowds though, who stand in line along the building's back wall as they wait for others to finish their meals. The breakfast-only joint serves traditional breakfast dishes of bacon waffles, eggs made several ways, buttermilk pancakes, hash browns, and various omelets as well as seasonal items and weekend specials. 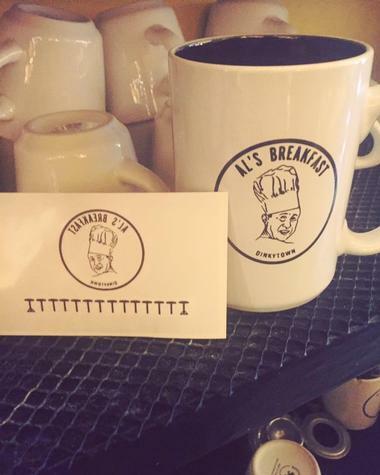 Al's Breakfast is located in the Dinkytown neighborhood near the University of Minnesota and serves breakfast only seven days a week. The French Meadow Bakery & Café is a healthy chain that serves fresh farm-to-table cuisine prepared using locally sourced and seasonal ingredients and produces. Boasting several locations around the city as well a few spots in airports, French Meadow Bakery & Café offers a range of healthy and wholesome dishes for breakfast. Tuck into eggs Benedict, three-egg omelets with savory fillings, hash browns, and breakfast burritos, baked cinnamon French toast, organic steel-cut oatmeal, and house-made granola with berries and yogurt, pancakes, and Belgian waffles. Sip on Fair Trade organic coffee, organic loose leaf tea, and freshly squeezed fruit juices. 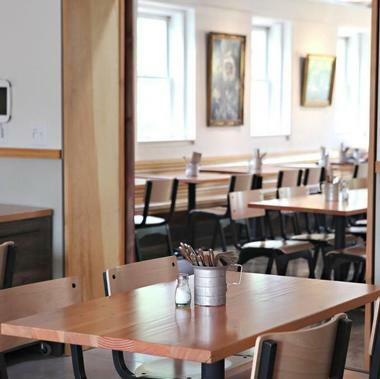 Located in Linden Hills, Zumbro Café is an elegant breakfast and lunch spot with a buzzing vibe that serves fresh and healthy cuisine made from scratch and prepared using locally sourced ingredients. The small family-owned business exudes a casual ambiance in a friendly neighborhood setting in South Minneapolis and has a breakfast menu of favorites and staples such as melt-on-the-tongue cornmeal pancakes, eggs Benedict, three-egg omelets with various fillings, scrambles, Belgian waffles, and the signature chicken wild rice hash with potatoes in a rosemary cream gravy. Kids can tuck into the very popular and extra fluffy Teddybear pancakes. Victor's 1959 Café is a snug Cuban café with a lovely outdoor patio that serves traditional Cuban fare for breakfast, lunch, and dinner in a bright and vibrant atmosphere. The little slice of Havana in South Minneapolis is a favorite breakfast spot where diners flock to grab a table on the sunny patio to enjoy Cuban-inspired breakfast bites such as Cuban hash with olives, raisins, capers, and sweet plantains, ranchero Cubanos on egg tortillas with melted cheese, and Spanish omelets packed with potatoes, grilled onions, and creole sauce. Other selections include pressed breakfast sandwiches with various fillings, buttermilk pancakes, and wild rice porridge. Don’t forget to leave your comment on the wall alongside the doodles of other guests. Founded in 1939, the Band Box Diner is the oldest operating diner in the Elliot Park neighborhood of Minneapolis and has grown from a small eatery serving all-American fare to a chain of 15 restaurants around the city. Modeled after the White Castle restaurants, the restaurant featured a classic interior with an open kitchen, a Formica counter, and fixed stainless-steel stools and was renowned for being the hangout for infamous Minneapolis gangsters in the 1930s and 1940s. 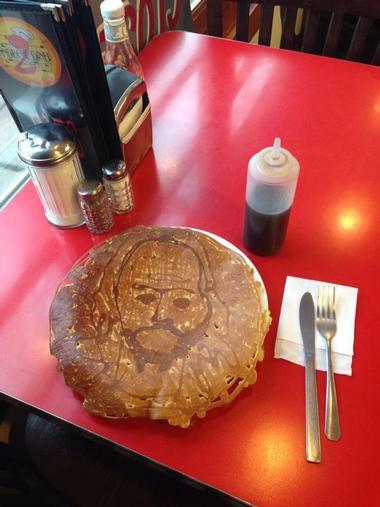 Today, the diner still attracts a crowd, but more so for the laid-back, friendly atmosphere and classic diner fare of three-egg omelets, burgers, and fries, hearty sandwiches with various fillings, breakfast combo plates stacked high with eggs, bacon, hash browns, and grits, pancakes, and waffles. The Birchwood Café is a smartly decorated coffee shop and café with stylish décor, comfortable seating, and local artworks on the walls. The restaurant, which also moonlights as an art gallery, serves a delicious menu of traditional breakfast bites with a variety of vegetarian options, all of which are prepared using fresh, locally grown, organic ingredients. 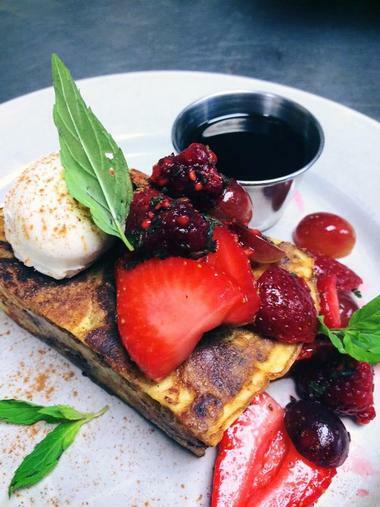 Breakfast and brunch menus feature staples such as steel-cut oatmeal, pancakes, steak and eggs, and creative takes on favorites like the asparagus and snap pea quiche, pea pancakes with grapefruit marmalade, tofu, and mushroom hash, and vegetable scramble. 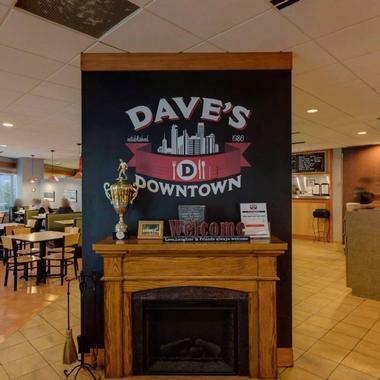 Dave's Downtown is a family-owned and operated restaurant that offers breakfast and lunch every day with a variety of freshly prepared dishes made from locally sourced ingredients and local produce. Located in the skyway of the Oracle building on 9th St downtown Minneapolis, this down-home spot is perfect for a quick breakfast before work or a casual lunch with friends. 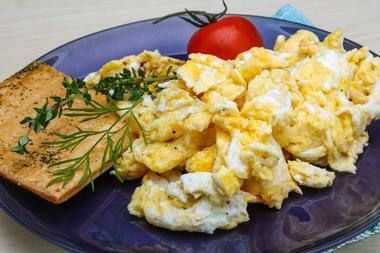 Breakfast-goers can tuck into traditional breakfast bites such as breakfast sandwiches on bagels, muffins, or croissants, three-egg omelets with various fillings, and breakfast burritos. Also on offer are biscuits and gravy, country-fried steak and eggs, buttermilk or blueberry pancakes, French toast, eggs Benedict, and steel-cut oats with fresh fruit and yogurt. Designed by Karen Herold of the renowned 555 International, Eggy's Diner is a hip neighborhood café that boasts the 1960s “Mayberry” feel. Exuding a contemporary and welcoming ambiance, the casual café-style diner features a new age soda fountain and serves all-day breakfast, lunches, family-style dinners, and delicious desserts with a fresh, lighter approach. Focusing on freshness, local ingredient sourcing and seasonality, the menu features classic breakfast dishes such as eggs Benedict, omelets, and homemade pancakes as well as biscuits and gravy, pastrami hash, and chicken and waffles. 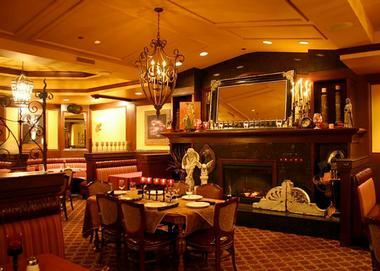 The FireLake Grill House & Cocktail Bar is a stylish restaurant with two locations in Downtown Minneapolis and at the Mall of America. 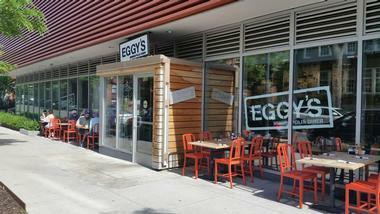 They serve contemporary North American cuisine in an elegant and refined atmosphere. The creative and varied menu features classic breakfast and brunch dishes with an innovative twist such as Brick Oven Apple Pannekoeken, Minnesota Walleye Hash, Egg White and Spinach Frittata, Buttermilk Fried Chicken Sandwich, Lemon Ricotta Pancakes, and Heirloom Cornbread. Lighter options for breakfast include fresh fruit plates, eggs Benedict, oatmeal and yogurt, and various skillets, along with a range of fresh fruit juices and house-roasted coffees. 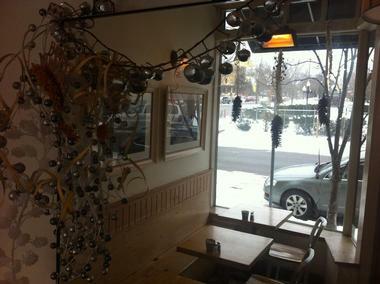 Hazel's Northeast is a bustling neighborhood café owned by the third generation of a restaurant-owning family and named after their grandmother Helen, who was nicknamed Hazel. Located on Johnson Street, Hazel's Northeast serves a menu that reflects the eclectic mix of patrons with comfort foods made with a modern twist. Traditional staples include Swedish meatballs and pork loin with green apple/ginger sauce, while New Age additions range from deep-fried cream cheese-stuffed olives to French banana toast smothered in caramel. Breakfast-goers tuck into omelets, egg sandwiches, chicken fried steak and eggs, homemade quiche, brisket hash, and biscuits and gravy. Located in the heart of downtown Minneapolis and named after the vibrant New York neighborhood, Hell’s Kitchen is an award-winning restaurant that serves breakfast, lunch, happy hour, dinner, and weekend brunch seven days a week in a quirky underground space. The family-friendly cave-like lair offers locally sourced and American-inspired cuisine, which is exciting and unpretentious, hearty and wholesome. The breakfast features classics like pancakes and porridge, eggs done several ways, omelets, scrambles and skillets, corned beef and hash, and steak and eggs. The weekend brunch menu has extras such as freshly made salads and soups, gourmet sandwiches, burgers and fries, hearty entrées, and specials, along with a variety of libations. The Hen House Eatery is a sprawling café with a full-service bar and side bakery on 8th Street offering classic locally sourced fare and handcrafted cocktails for breakfast, lunch, and happy hour. The café serves a delicious all-day breakfast that features sweet treats such as caramel and cinnamon rolls, healthy options like berries and yogurt, fresh fruit cups and plates, oatmeal with fruit and walnuts, and avocado toast. Other dishes range from eggs done in a variety of ways, three-egg omelets with various fillings, corned beef hash, breakfast sandwiches, eggs Benedict and eggs Florentine, biscuits and sausage gravy, and griddle specials such as pancakes, waffles, and French toast. The full-service bar offers a selection of libations, including mimosas and Bloody Marys for morning tipple. Hot Plate boasts a cozy charm with eclectic décor, thrift store art, a hundred cool lighting fixtures, and an inviting ambiance with friendly staff. They are renowned for their mouthwatering fluffy-yet-thin Nutella, peanut butter and bacon pancakes, and the Lingonberry-tinged compound butter. The breakfast menu boasts hearty American breakfast fare with artisanal twists such as Pumpkin Buckwheat Waffles topped with pecan nuts and whipped cream, and the Bloomington Sandwich filled with soft scrambled eggs, bacon, cheese, and maple syrup on grilled sourdough. The café runs weekly blackboard specials and a “tryouts” menu of new dishes, which are always popular. 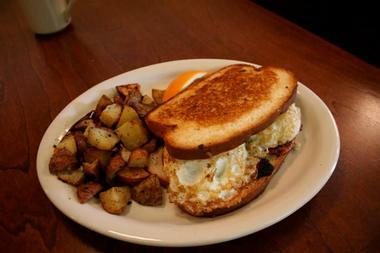 Hot Plate serves breakfast and lunch seven days a week. 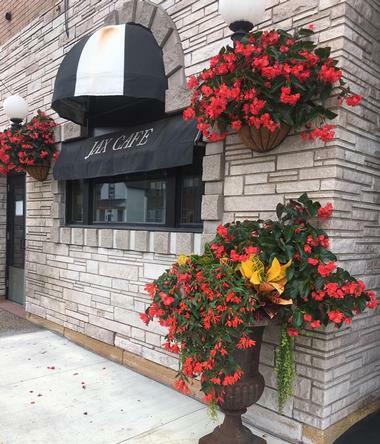 Jax Café is a landmark café dating back to the 1930s that has been a beacon of classic dining in Northeastern Minneapolis for more than 80 years. Located on the corner of University Avenue and outfitted with 1960s décor, the family-owned establishment serves an array of classic American cuisine from steaks to seafood in a welcoming setting complete with tuxedo-ed waitstaff. Sunday buffet brunches are always packed with regulars dining on freshly prepared salads, antipasti, and marinated vegetables, made-to-order omelets with various fillings, eggs Benedicts, Italian sausage, and a smorgasbord of carvery meats and roasted vegetables. Griddle specials include made-from-scratch pancakes, French toast, and waffles, and the dessert table heaves with freshly baked pastries, Danishes, muffins and scones, croissants, and cinnamon rolls. 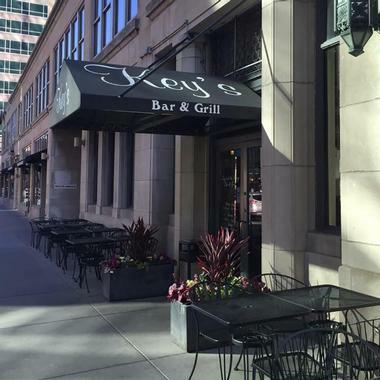 Located in the famous Foshay Building in the heart of downtown Minneapolis, Keys Bar & Grill at the Foshay is a long-running café chain that serves an award-winning breakfast as well as lunch, dinner, and dessert seven days a week. Founded in 1973, the chain has grown to become one of the city’s favorites spots to head to for their fresh made-from-scratch fare and classic cuisine. The breakfast menu features traditional dishes like breakfast plates of eggs, hash brown and bacon, spinach and egg scramble, breakfast sandwiches, Huevos Rancheros, omelets, eggs Benedict, pancakes, waffles, and French toast. Keys at the Foshay also has an on-site bakery that offers freshly baked cakes, cookies, pies, and desserts. 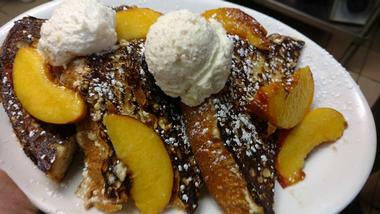 Milda's Café in the Near North area of Minneapolis serves a menu of delicious breakfast basics, with regulars lining up for the mouthwatering caramel and iced cinnamon rolls, custardy French toast, creamy grits, and fluffy omelets. Add to that affordable prices and a warm and welcoming atmosphere and you have a winner that has been around for decades. Other breakfast highlights include eggs done several ways with a choice of meats and sides, stacks of pancakes, Belgian waffles gooey with syrup, and the restaurant’s signature dish of the beef pasty, which is a pastry baked to a golden brown and filled with a savory filling of ground beef, potatoes, onions, and carrots. Located in Minneapolis’ North Loop, Moose and Sadie’s is part café, part coffeehouse and provides a warm and welcoming gathering space for the community to come together and enjoy excellent fare and house-roasted coffee. The restaurant offers a weekly changing and seasonal menu with dishes prepared from fresh locally sourced ingredients and produce from artisanal farms. 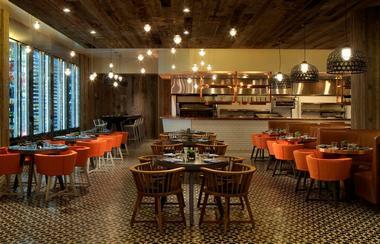 The space is very welcoming with a laidback, convivial atmosphere. The airy American café serves a hearty breakfast of egg dishes, omelets, skillets, quiche of the day, homemade granola and yogurt, cornmeal pancakes, buttermilk biscuits and sausage gravy, and hot-off-the-griddle pancakes, waffles, and French toast. Don’t miss the signature dish of huevos rancheros with runny eggs, refried beans, and roasted tomato salsa, which are served all morning and can be enjoyed on the sunny patio. 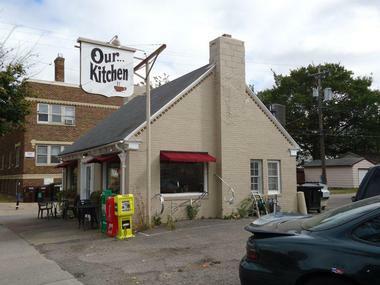 Our Kitchen is a simple, straightforward eatery that serves a simple, straightforward menu of classic, all-American fare for early breakfast and lunch seven days a week. 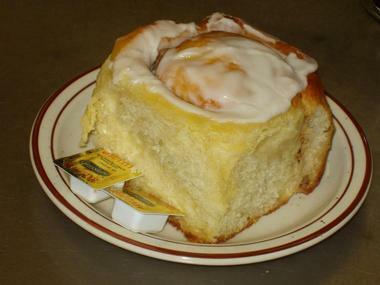 The casual corner diner provides a friendly neighborhood breakfast spot where meals can be taken at the breakfast counter or one of the limited tables and chairs dotted about the restaurant. 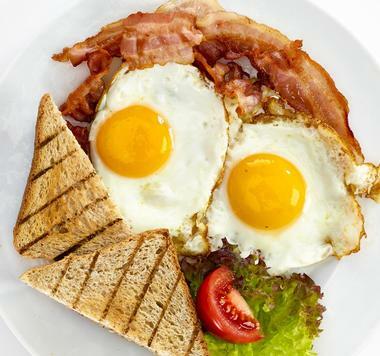 Breakfast lovers can tuck into staples like steak and eggs, pancakes, French toast, plates of eggs with meat and potatoes, breakfast sandwiches stacked with a variety of fillings, and the café’s signature crispy and fluffy hash browns. 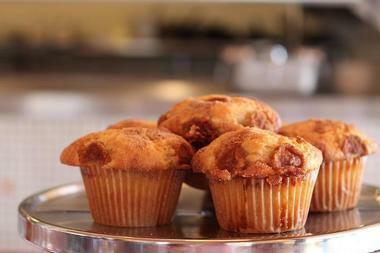 Sun Street Breads is a casual, counter-service artisan bakery and breakfast spot in Kingfield that is renowned for its delectable pastries, traditional bread, and cakes hot out of the oven as well as their melt-in-the-mouth Southern-fried biscuits. The signature dish features a hunk of fried chicken, crispy strips of bacon, and peppery sausage gravy on a buttery cookie with a side of deep-fried mashed potato balls. Lighter breakfast bites range from egg dishes, fluffy omelets, tangy sourdough flapjacks and pancakes, and breakfast sandwiches, as well as a range of expertly made pastries like raspberry scream scones, rhubarb turnovers, and the unbelievable chocolate-hazelnut bear claw. Sip on a selection of house-roasted Dogwood Coffee drinks as the perfect complement to the cuisine. The Lowry is a hip late-night staple with outdoor patio seating that serves breakfast, lunch, and dinner and has a full-service bar offering craft cocktails and microbrews. 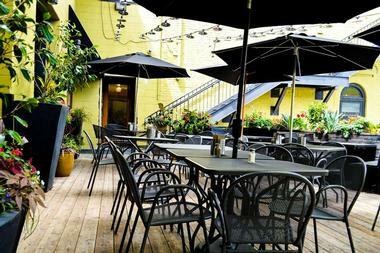 Located on Hennepin Avenue, the contemporary eatery provides fantastic breakfast specialties such as Eggs Benedict with ham and hash browns and hollandaise sauce, Roasted Veggie Hash, Chilaquiles with black beans, eggs, and chorizo, and Shirred Eggs with ham, Swiss cheese, mushrooms, and truffle cream. Healthy options include Irish oatmeal with maple-glazed apple relish and cream and Greek yogurt with wild honey, seasonal fruit, and freshly baked scones. The Mill Northeast or The Mill NE is a friendly neighborhood café on Central Avenue that serves brunch, lunch, and dinner in a casual, laid-back ambiance. The brunch menu features regular favorites with a creative twist, such as Ecuadorian Baked Eggs with spicy adobo black beans and a llapangacho, Cinnamon Wild Rice Pancakes topped with fruit and crunchy granola, and a West African Peanut Stew with collard greens and sweet potato. For something sweet, try the buttery, crumbly scone-style biscones while you sip on fresh fruit juices, signature cocktails, and house-roasted coffee brews. 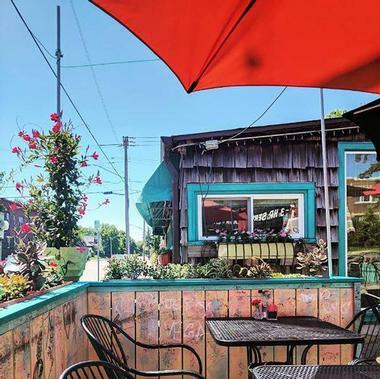 The Tiny Diner is a small restaurant in Powderhorn Park with retro-modern décor and a lovely garden patio for outdoor dining that serves all-day breakfasts and locally sourced dishes for lunch and dinner. 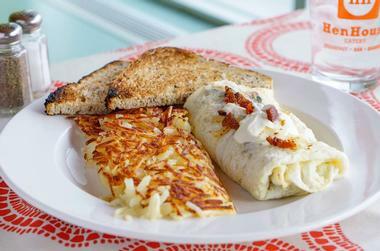 Using fresh ingredients from local farms and the restaurant’s organic garden, the Tiny Diner is a great spot for breakfast with classic dishes and creative plates such as buttermilk pancakes and breakfast burritos, kale soup and corned beef hash, burgers and fries, and gourmet sandwiches. Also on the menu are three-egg omelets with a variety of fillings, egg sandwiches, house-made granola, breakfast of champions, mac, and cheese, and macro bowls of avocado, roasted root vegetables, broccoli, kale and tofu, kimchi, and wild rice. 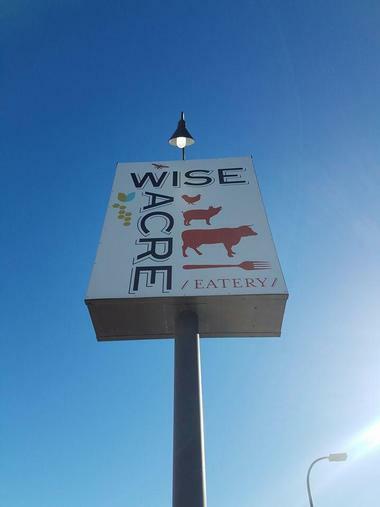 Wise Acre Eatery is a friendly neighborhood farm-to-fork café that serves fantastic menus for brunch and dinner in an industrial-chic space with an outdoor patio. The restaurant owners pride themselves on serving sustainable and organic cuisine prepared from locally sourced ingredients and fresh farm produce provided by artisanal producers and local farms. The brunch menu features delightful dishes such as the CSA Hash, which is an egg and herb scramble with farm vegetables, cottage ham, aioli, and cornbread, and the Winter Squash Salad with farm greens and shaved winter squash, Humboldt Fog cheese, prunes, and salted pepitas tossed in pumpkin vinaigrette.